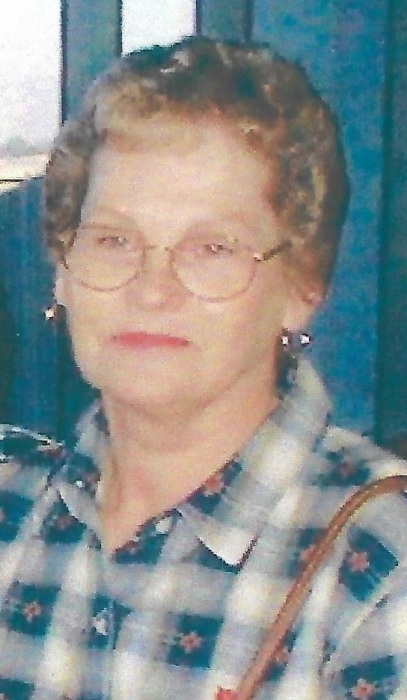 Mrs. Patricia Ann Townsend, 79, of Lake City passed away on Saturday, October 20, 2018 at North Florida Regional Medical Center in Gainesville. A native of Branford, she was the daughter of the late William Jasper and Mary Magdeline O’Steen Aderholt and had lived in Gainesville and Cordele, GA before moving to Lake City in 1966. Mrs. Townsend handled secretarial matters at Lantern Park Baptist Church and enjoyed crocheting and sewing. She was a wonderful mother and grandmother, and loved Praising the Lord. Mrs. Townsend was preceded in death by her husband Willie Samuel “Sammie” Townsend, Sr. in 1995. Mrs. Townsend is survived by her son, Willie Townsend, Jr. (Sue Ellen); daughter, Teresa Darlene Fowler (Rick); brother, William Aderholdt; sister, Ruby Aderholt Williams; 6 grandchildren and 5 great-grandchildren also survive. Funeral services for Mrs. Townsend will be conducted at 3:00 P.M. Wednesday, October 24, 2018 at Lantern Park Baptist Church in Lake City with Pastor Josh Haney officiating. Interment will follow at Oak Grove Cemetery in Branford, FL. Visitation with the family will be held from 5:00-7:00 P.M. Tuesday evening at the funeral home.